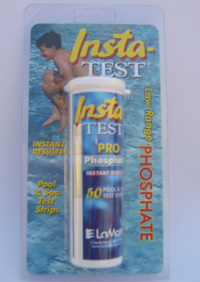 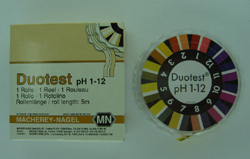 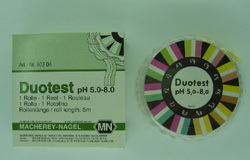 Packet of 100 Macherey-Nagel pH-Fix test strips in the range 4.5 to 10.0 in 0.5 pH unit steps. 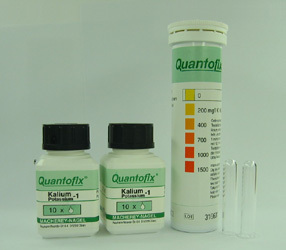 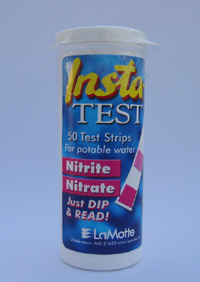 These strips are specially suited to urine testing applications. 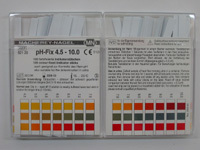 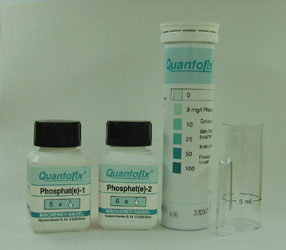 pH-Fix test strips have advantages over many other pH test strips and pH papers because they are designed for low buffered as well as alkaline solutions.